Violinist Robert Uchida has been hailed for his “ravishing sound, eloquence and hypnotic intensity” (Strings Magazine). A regularly featured guest soloist with many of Canada’s orchestras and chamber music festivals, Robert recently had the honour of performing Bottessini’s Grand Duo Concertante with bassist Edgar Meyer under the direction of William Eddins. 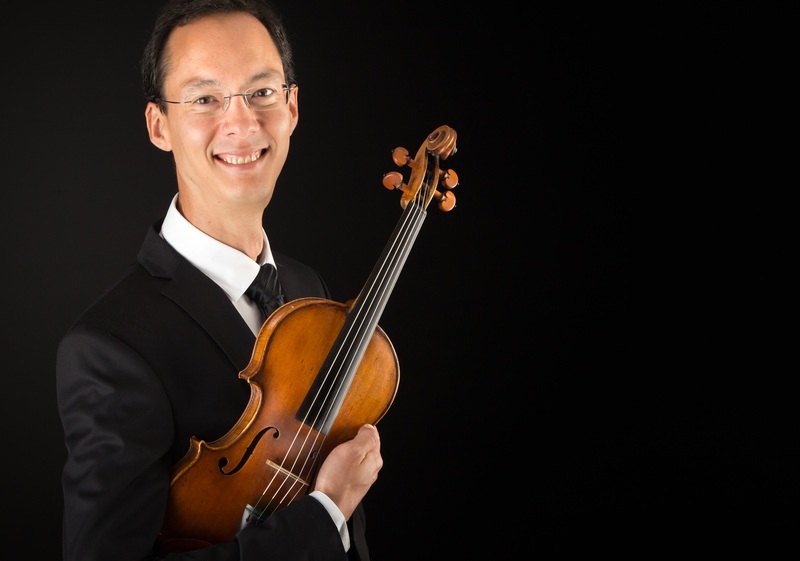 Concertmaster of the Edmonton Symphony Orchestra, Robert previously held the same position with Symphony Nova Scotia and during the 05/06 season Robert performed as Associate Concertmaster of the Rotterdam Philharmonic Orchestra. Engagements as a guest leader have included projects with the Netherlands Radio Chamber Philharmonic and the Vancouver Symphony Orchestra. Robert’s CD recordings include “Requiem 21.5: Violin Concerto” by Tim Brady for CentreDiscs, which won Classical Recording of the Year at the ECMAs, Sonata for Unaccompanied Violin by Andrew Violette for Innova Records, and the “Alpine Symphony” under Edo de Waart as guest concertmaster of the Royal Flemish Philharmonic. Robert’s versatility has brought him to perform with baroque specialists such as Frans Brüggen, Jeanne Lamon and Elizabeth Wallfisch and to work with composers such as John Corigliano and Richard Danielpour. Robert serves on the faculty at the University of Alberta and has held teaching positions at Acadia University, the Manhattan School of Music and the National Arts Centre of Canada’s Young Artist Program. Robert performs on an outstanding Lorenzo Ventapane violin made in Naples, Italy in 1820 and uses Vision Solo Titanium violin strings by Thomastik-Infeld Vienna.